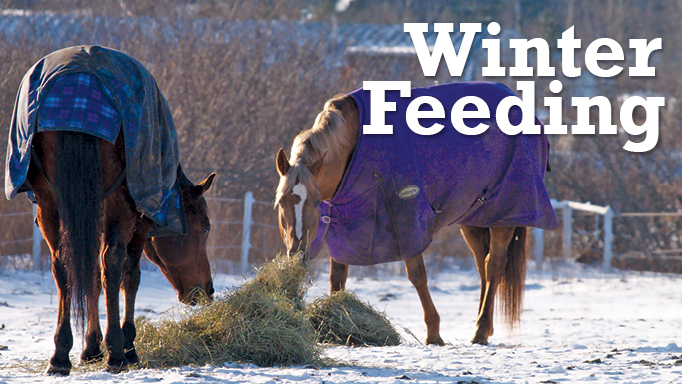 When the temperatures drop and the work load lightens, you will need to make adjustments to your horse’s feeding program. In winter, you and your horse’s riding frequency and intensity probably decreases a bit. Therefore, rather than having your horse in what is considered by the National Research Council’s Nutrient Requirements of Horses (2007) ‘moderate’ or ‘heavy’ work category – what most sport horses would be considered – your horse might be in ‘light’ work, or even on holiday as ‘maintenance’ (see table). 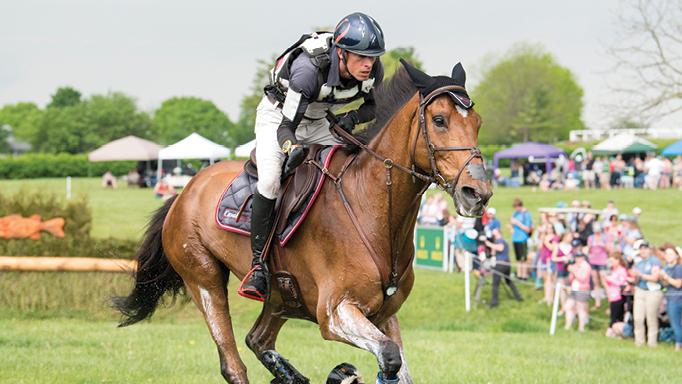 When it comes to the nutritional requirements of these types of athletic horses, the biggest difference is in calorie requirements, which are used to fuel the work effort. 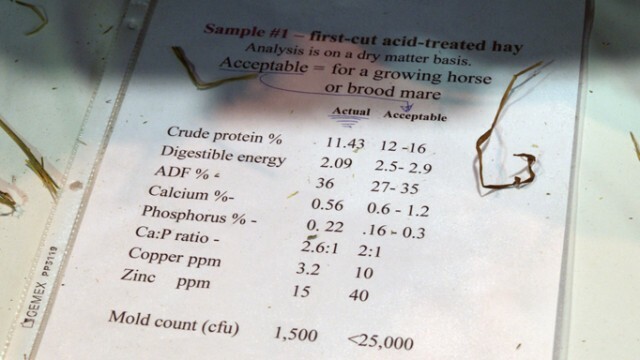 The table shows the nutritional requirements for energy, protein, calcium, and phosphorus of a 500 kg horse at these different levels of work. For example, if you were feeding good-quality hay at 2% of the horse’s body weight, a horse at maintenance should be able to get his nutrients from the hay alone (as well as from a good water source and perhaps a vitamin/mineral supplement). If the hay is excellent quality and the horse is eating it well, it might also provide the calories and nutrients for a horse at light work. As we go into higher levels of work, you might need to provide some more concentrated energy sources to provide the additional calories, as well as the other nutrients needed for work, in which case a commercial feed formulated for working horses may be ideal. 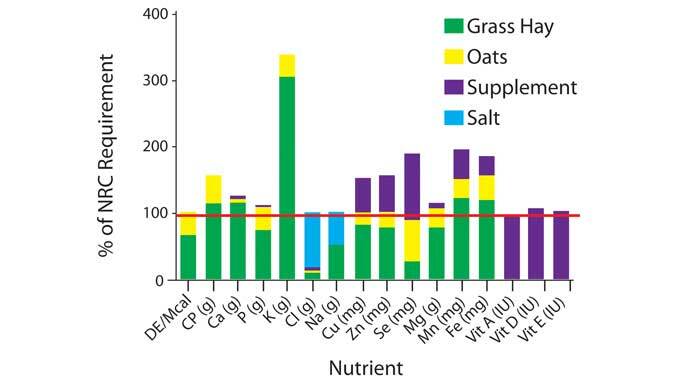 Therefore, as we reduce our horse’s workloads, we should likely decrease the amount of concentrate we feed. But this is tricky. The primary reason to feed a concentrate/grain mix is to provide energy/calories for your horse, and in times of lower workload your horse doesn’t need as many for work. However, depending on your stable management in the winter, you might need to keep your horse’s calorie intake slightly higher and try to offer more hay. The colder temperatures require a horse to work harder to maintain its body weight, and a 500 kg horse might need an additional 5-10 mcal per day just to stay warm. In this case, rather than increasing grain, you are actually better off to increase hay. This is because the digestion (or rather, fermentation in the hind gut) of hay produces heat that the horse can use. So feeding one to four flakes per day more can provide some additional calories and keep the horse warm. Also note that in winter, horses may need some additional vitamins that are not provided in hay alone, such as Vitamin D (normally the sunshine vitamin, but its synthesis may be reduced by increased stabling, blanketing, and cloud coverage), and vitamins A and E, which are usually prevalent in any fresh forage/pasture the horse eats, and which also decrease with time in stored hay. Therefore, while you might be able to provide only hay to meet the energy and protein needs of your horse, you might want to include a vitamin supplement. The best and easiest way to monitor your horse’s energy requirements as the temperature and his workload changes over the winter is to monitor his body condition score – the fat coverage over his body. This can be challenging with blankets and thick hair coats, but should be done every two weeks to monitor your horse’s energy balance. If he starts to lose weight, offer more hay or grain if needed, and if he gains weight, perhaps reduce the grain a bit rather than the hay, because you still want him to keep warm. Fresh, clean water and good-quality hay are your best tools for winter feeding!